Most people have been on a horrendous date or two in their lives. Maybe the guy conveniently left his wallet at home, or you made reservations at a steakhouse before finding out your date’s a vegetarian. But no matter how many boring or awkward nights you’ve been forced to endure, you can probably say that no one ever forced you to find a babysitter just so you can sit next to them during a class or tort reform or some similarly boring BS. 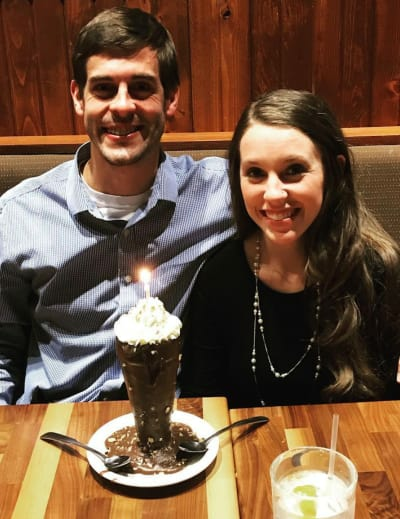 The photo above was posted on Derick Dillard’s Instagram page on Wednesday. 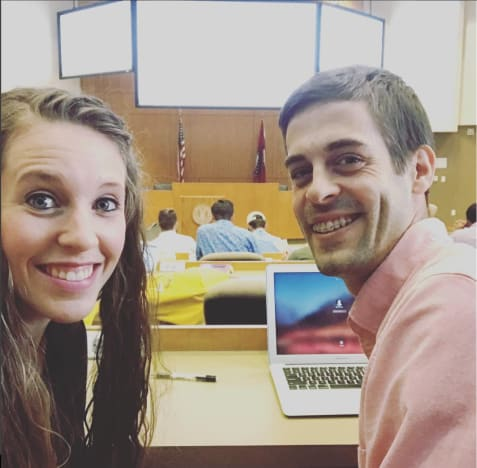 Yes, Derick Dillard is in law school these days, and since men of the Duggar clan don’t do anything without the help of their women, he apparently brings Jill to class with him. Because every harried stay-at-home mom who homeschools her kids dreams of getting a night off so that she can sit there and take notes for her husband. The most likely answer, of course, is that Jesus instructed him to bore the hell out of his wife. 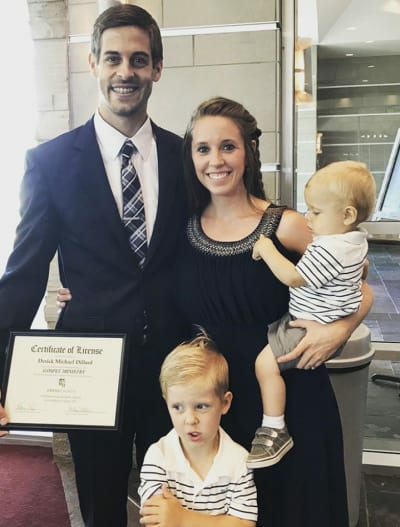 As you may recall Derick has claimed that God wants him to go to law school. Presumably, this is so that he can fight for school children to be taught that the Earth is 6,000 years old and Jesus invented the AR-15 while feeding his brontosaurus. Anyway, Duggar men are taught from a young age that God wants them to be obscenely wealthy and if they’re faithful enough, he’ll set them on the path to fame and fortune. Conversely, Duggar women are told that their role in life is to be submissive and do as they’re told. Their purpose on this planet, according to the Duggars’ brand of fundamentalism, is to help their husbands get rich. And so, if Derick wants Jill to help him take notes in class, she would likely see that as her divinely-ordained duty. So we guess that her date nights will look a lot like this for the next few years. Hopefully, she’ll be able to hold onto that fake smile. 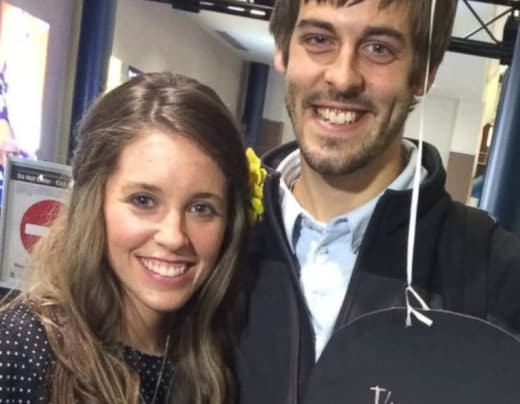 View Slideshow: Derick Dillard to Fans: Don’t Watch the Sinful FILTH on TLC! Dance Moms Season 7 Episode 22 Recap: The End of the ALDC? Next story Mac Miller: Will His Friends Face Criminal Charges? Previous story Jason Hitch and Cassia Tavares: Finally Getting Divorced!